Welcome to Training trains "IPT and internship offers"!! 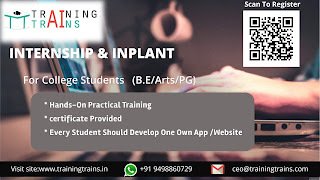 Training Trains, a Software Development and Corporate Training company, Located in Erode-(perundurai), accepting Invitation for In-plant Training for all kind of Engineering and Non-Engineering Students and Arts College Students. We will provide an industrial exposure to the students as well as to develop their career in the high tech industrial requirements. 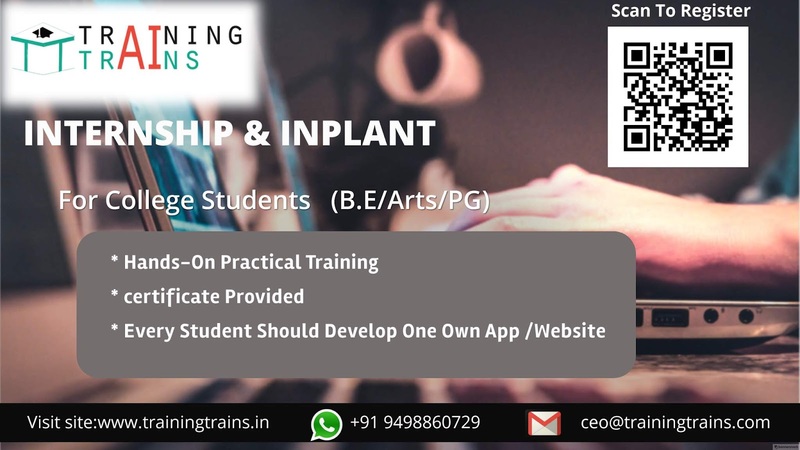 Training Trains is providing In-plant training, Internship Training and Corporate Training to support the Students as per the current IT Industry exposure.